We also look forward to seeing you at Rio Salado College Commencement and Graduation ceremonies this May! Share your graduation stories with us on Facebook, Twitter and Instagram using #RioGrad. 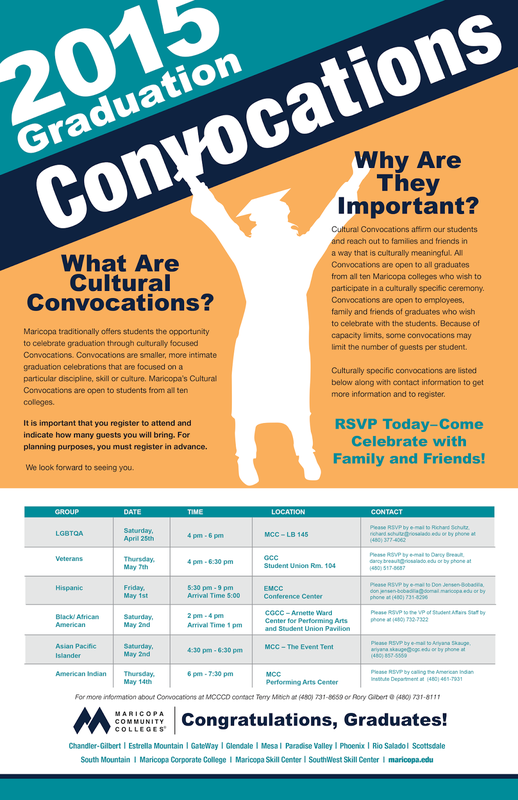 For more information about Convocations at MCCCD contact Terry Mitich at 480-731-8659 or Rory Gilbert at 480-731-8111.